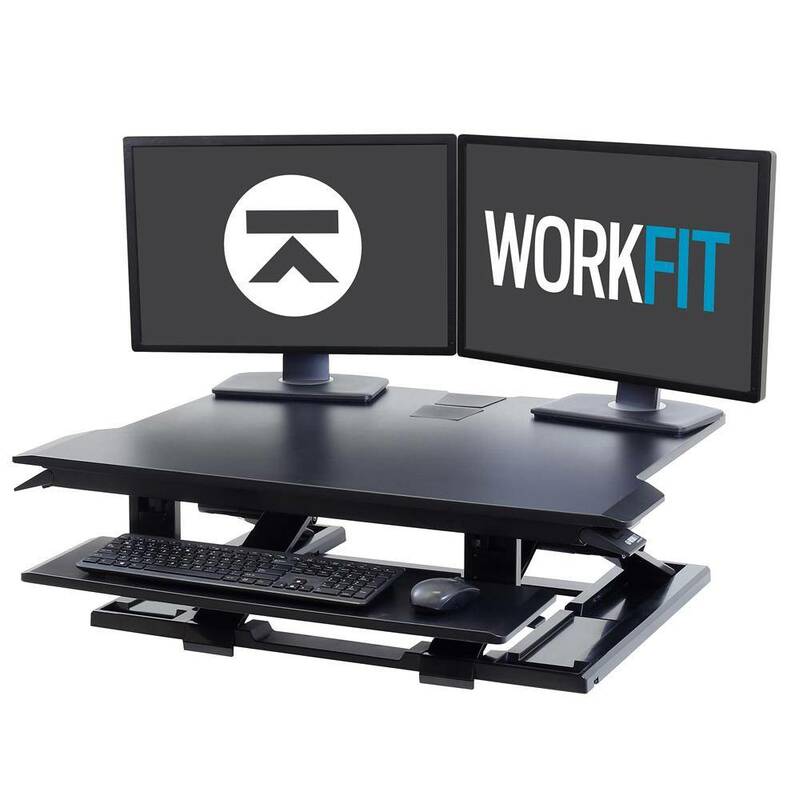 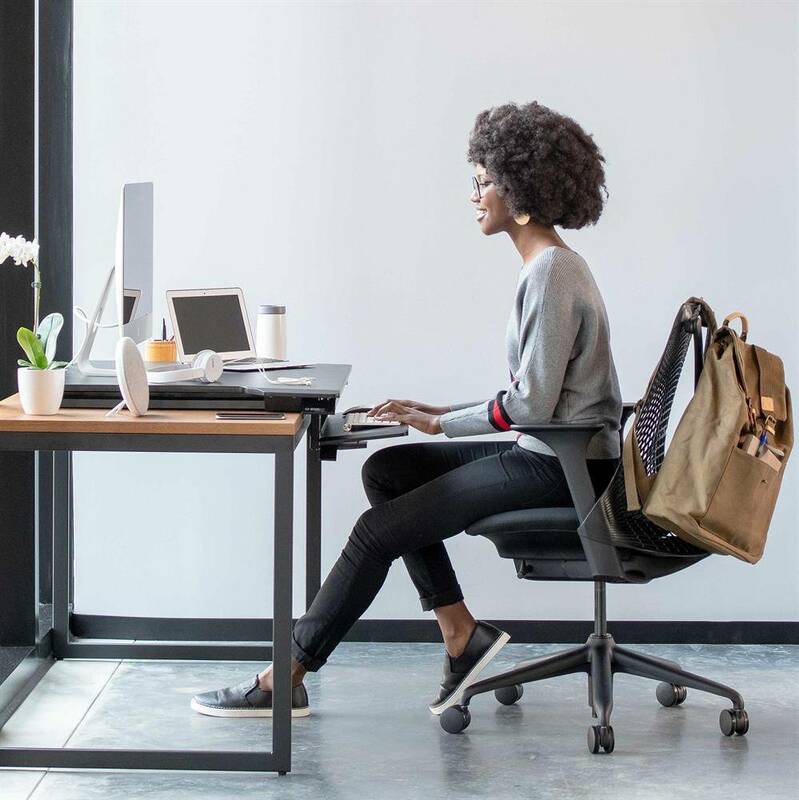 Thoughtfully designed to offer advanced ergonomics out-of-the box, this WorkFit™ adjustable standing desk moves you forward with a new standard in sit-stand. 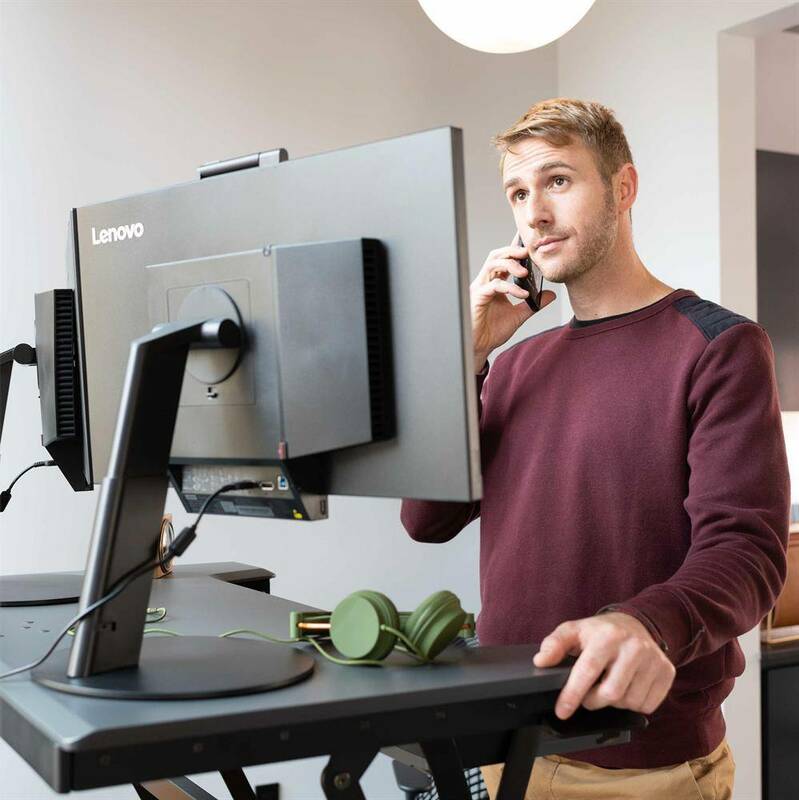 It fits more users with an X-shaped lift that folds close down to your desk to keep the right monitor-to-keyboard-tray spacing. 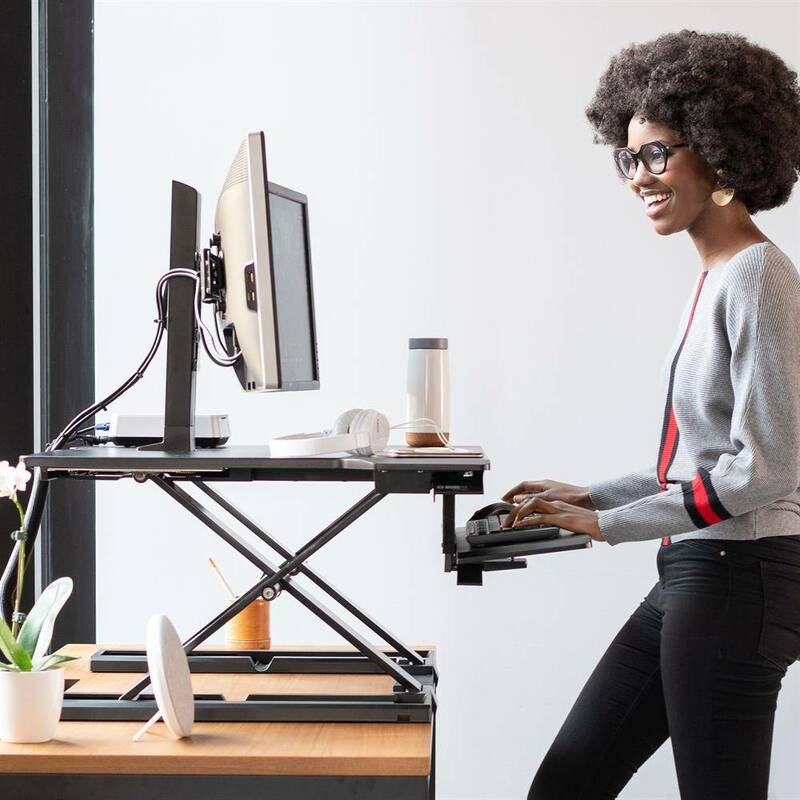 With a height-adjustable, back-tilt keyboard that sits below the worksurface, this ultra-low sit-stand workstation delivers leading ergonomics when sitting and standing. 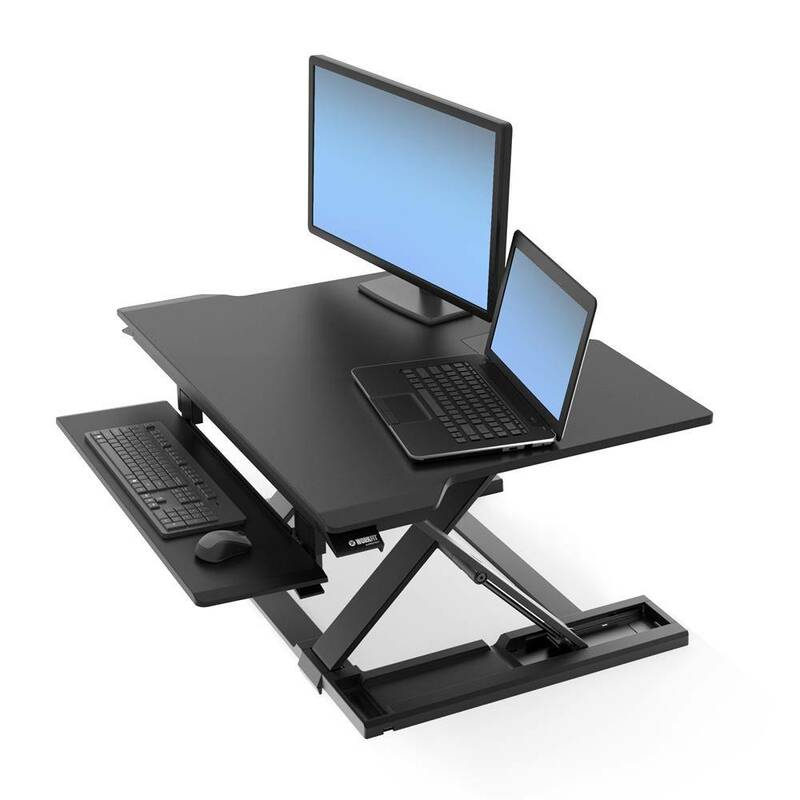 - Keyboard tray can be positioned as low as 3.5" (9 cm) below desktop. 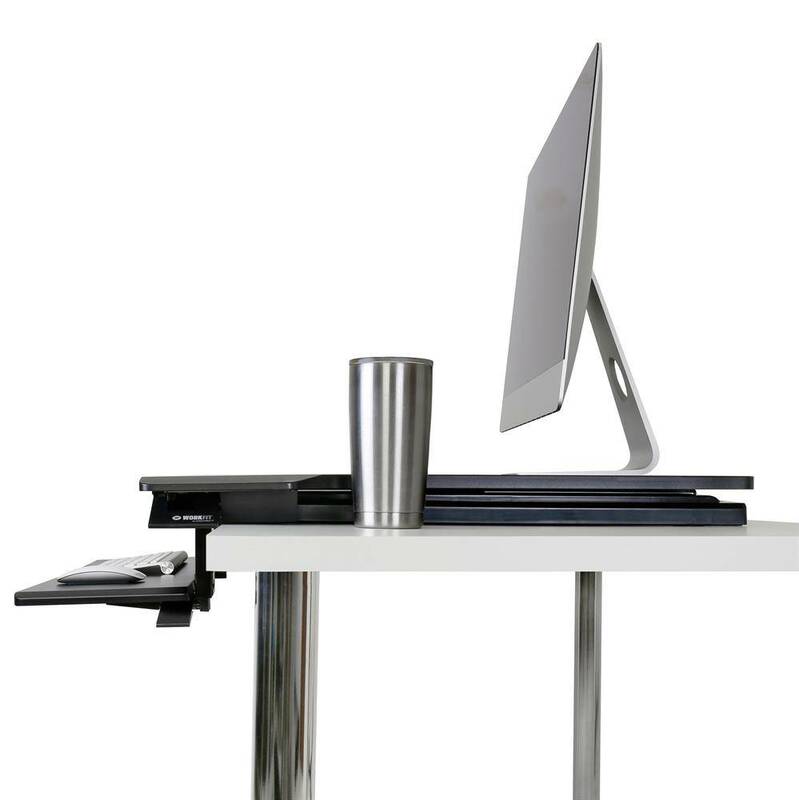 For improved ergonomics when sitting or standing, the tray provides 3" (8 cm) of independent height adjustment to change the position of the tray relative to the unit’s worksurface.